The post below is actually a copy of an e-mail that I sent our teachers today to promote our Burlington Public Schools Blog and also share the great work of their colleagues. It is the second post in a series that I will continue throughout the school year. The number of Burlington Public Schools blogs and websites that have been shared with me is up to 73! You can check out the entire list here if you are interested. If you haven’t had a chance to share yours, then please enter it here on this Google form when you have a chance. If you have been thinking about starting a classroom blog or website and feel intimidated then please reach out to me or one of the members of our technology team for support. Only 169 more posts to go…Please feel free to e-mail me something directly that you would like to share. We also welcome original posts from staff or students if you have something that you would like to share. One of the best parts of following all of your blogs is seeing the pictures of your students and the things they are creating! 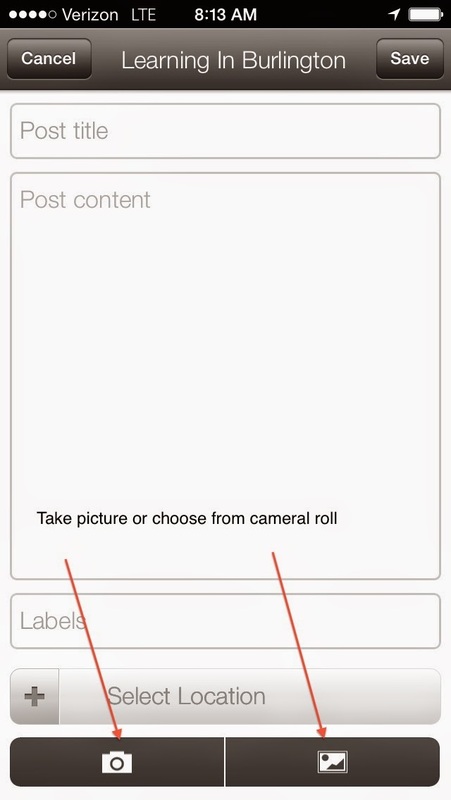 In my opinion, the easiest way to add pictures is to blog from your iPhone or iPad. 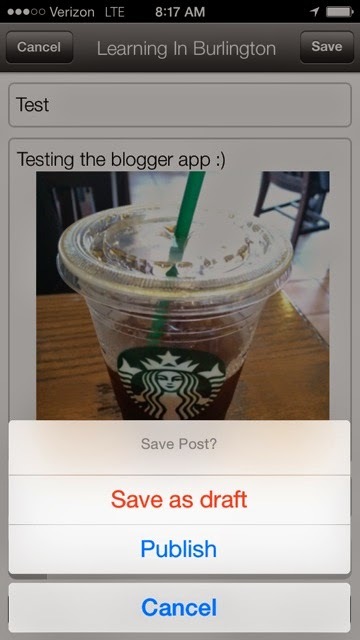 The blogger app is free and very easy to use! When you click on save in the upper right corner it gives you the option of saving as a draft or publishing right from your mobile device. 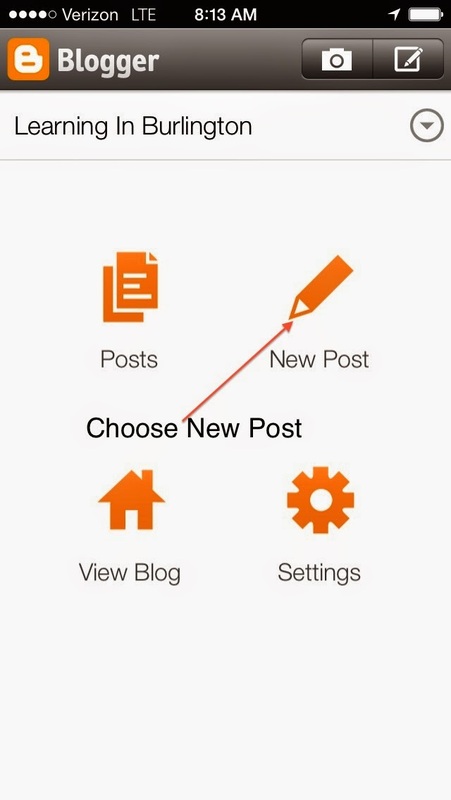 Saving as a draft will allow you to check out your post on a computer before publishing. The final point I want to make about posting pictures on your blog is that you can resize them by clicking on the photo before you publish. If you want to make sure that a photo is not too large for the margins on your blog the you can click on the preview button before publishing.